Carl Icahn declares that Tim Cook and the board has performed admirably and responsibly and that if they don’t do so, the billionaire investor and most valuable company in America will still be “buddies” according to Carl Icahn. He is glad that Tim Cook is listening to him. He hopes that Apple Inc (NASDAQ: AAPL) buys back $100 billion of its shares with the capital it currently has. This in turn would reduce the shares outstanding, and in turn valuate the stock price higher when earnings come in. Earnings would be divided over fewer shares. Icahn feels that Apple is performing well against its competitors and peers, and that other companies won’t be able to overcome its competitive moat. Instead of publicly speaking with Tim Cook, he feels it’s better to do so publicly so that Apple shareholders will join his opinion and demand a stock buy back as well. The more shareholders he can get to join his vision, the more likely the share buy back can happen. Unlike last year, this year, he does not specific a specific amount he wishes the company to buy back in shares. Even Tim Cook believes the company is highly undervalued as well. Icahn believes that the overall US economy is overvalued and he has therefore made short bets on the S&P. Some investors commenting believes that Icahn has no interest in the stock at all, and that he is hoping to just make a quick buck off the shareholder’s expense by raising the price up with letters, and selling his shares once the company’s stock price reaches its peak. 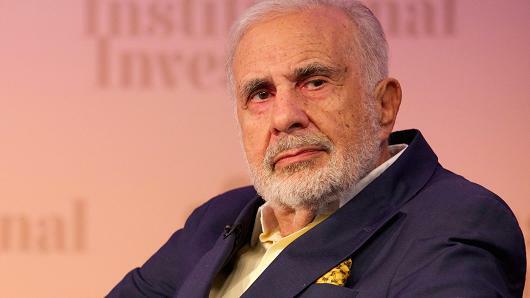 Investors believing that Icahn can rally up investors can benefit from this activist moment by picking up shares and exiting once the company’s stock price appreciates.